Braving the heavy rain on Saturday night, Mar. 10, the community of Lakeside came together in large number at the Lakeside Rodeo Grounds to support the inaugural St. Patrick’s fundraising dinner organized by the Lakeside Friends of the Library with help from the newly formed East County Optimist club, Lakeside Chamber of Commerce and the Lakeside Miss Teen Pageant team. Following the generous donation of $50,000 made by the Rise City Church on Christmas last year, the library needed just a little more support to meet its goal of raising $100,000 as a community contribution to the county funded project to build a new library in town. On Saturday, the Lakeside Friends of the Library raised more than $12,000 in just one evening. 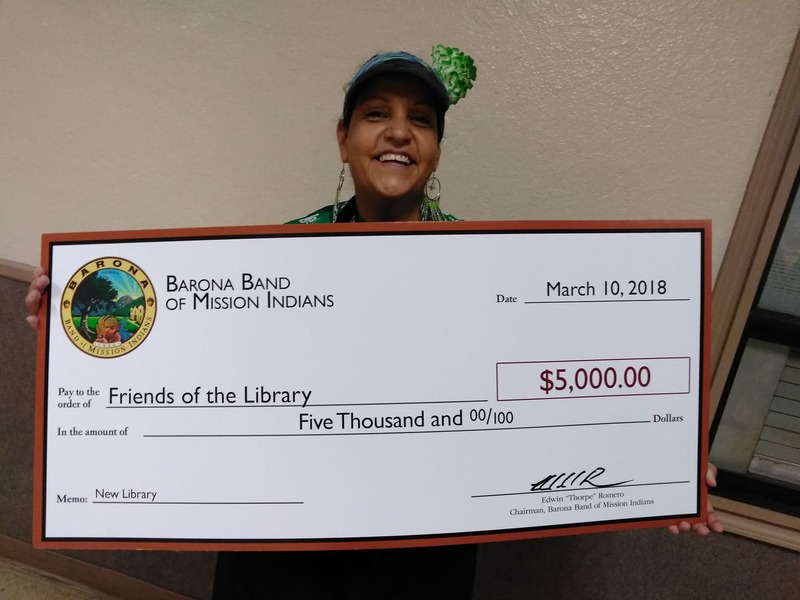 The extra special gift came from the Barona Band of Mission Indians represented by councilwoman and community volunteer Bonnie LaChappa who brought an oversized check signed for $5,000. About $5,500 came from the dinner and raffle tickets and also from the silent auction and membership sales. LaChappa spent most of the day in the kitchen, cooking for the inaugural St. Patrick’s fundraising dinner, which the organizers hope to become an annual tradition. LaChappa reminisced about the crucial role of the Lakeside Library in her life as a little girl. The idea of the Irish holiday fundraising event came from Lisa Anderson of the Lakeside Elk Lodge who then approached the Friends of the Library and together made it a successful event. “There are plenty of spaghetti dinners and pit barbeque events, but we didn’t have a corned beef dinner event in Lakeside, so this is for the community, to have an Irish party,” said Anderson, joking about the real motivation behind her outstanding efforts to coordinate the cooking and the volunteers. Acosta added that the 17,000-square-foot building will have a 2,000-square-foot community room, which is much needed in town; a poet’s patio for outdoor reading; and the latest technology when it comes to visual, computers and robotic book order, with super high-speed internet access and connections to UCSD, SDSU, and access to all the research of universities and community colleges in California. Acosta promised to keep the project community-centric. July 1 is the estimated day for the county’s approval of the construction before official steps to bid out the design and build the library. Drammissi wants all the kids to have access to a good library and has a good reason for it. 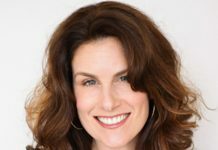 “My background is in literacy and science and I know that the kids who have a strong foundation in reading, writing, listening and speaking are going to be strong learners and they are going to have productive lives,” she said. 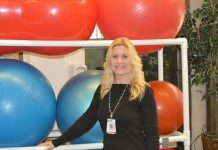 The idea of building a new library in Lakeside started in 2004 with Barbara Ferrera who created the Friends of the Library group to start raising funds. Dorothy Wood, one of the former volunteers attending the Saturday event, is a champion fundraiser who brought in over $10,000. She said she still goes to the library once a week to borrow exactly three books to read and is proud to share how she won “a big certificate from the state of California for having read sixty books in a year” back when she was a little girl. Fererra’s and Wood’s legacy was passed onto the new board, starting with co-chairs Terry Burke-Eiserling and Heather Brown-Gutierrez, along with membership secretary Caprice Hubbard Sander and treasurer Leslie Ward. 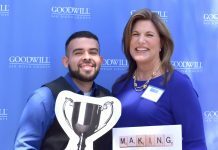 They form the core of this hard-working group which managed to exceed the goal of raising $100,000 in the past two years since they came on board. A huge help came from the princesses of the Lakeside Miss-Teen Pageant scholarship who worked hard to make sure the guests were treated royally and were having a good time. Helping with the soft beverages table, two young Princesses said they are proud to give back to the community. Summer Rose Barnes and Alicia Maria Asebedo both love books and reading and are excited to interact with the community. “I go to the library ever day and my favorite thing is to interact with the other kids,” said Barnes.